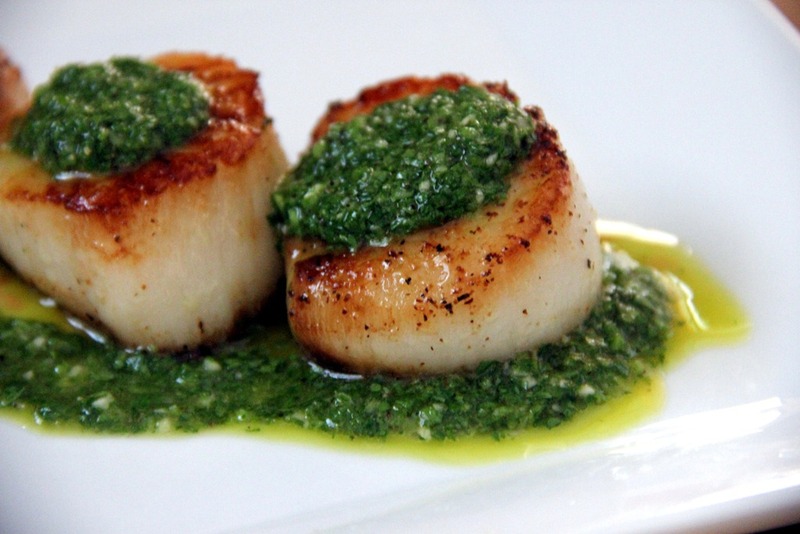 Chimichurri is a grilled meat sauce that originated in Argentina, but is popular throughout Latin America. 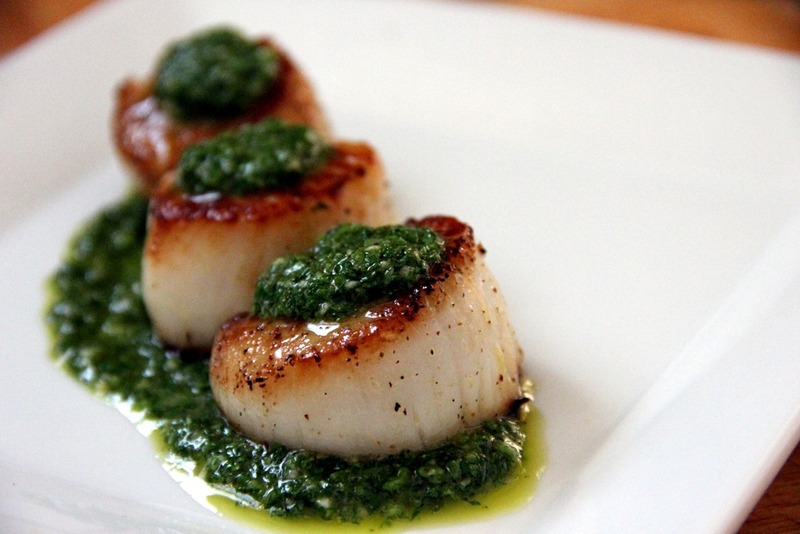 It has an herb-based sauce that pairs well with the meaty textures. 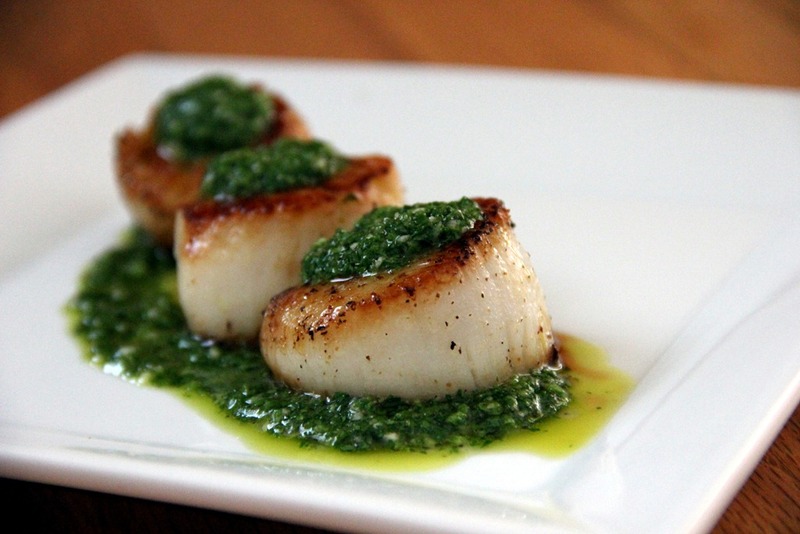 For this recipe, I use chimichurri to complement seared scallops. It’s a simple, light but tasty dish. Enjoy! Parsley: contains a compound called myristicin, which inhibits tumor formation and helps to fight oxidization. The herb is rich in antioxidants, which help fight aging. 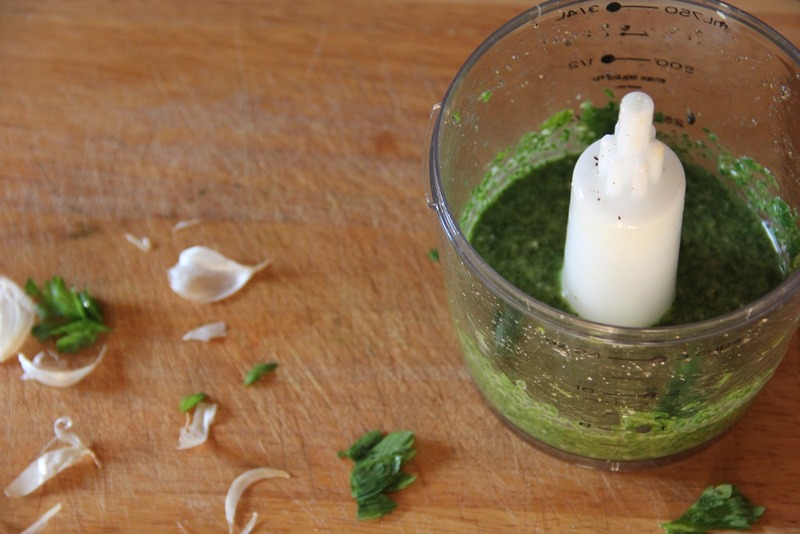 With its luteloin and vitamin C content, parsley has strong anti-inflammatory properties and contributes to a healthy immune system. 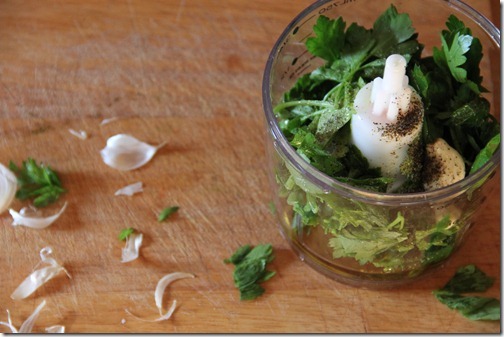 Additionally, parsley also helps to maintain healthy cardiovascular and nervous systems. 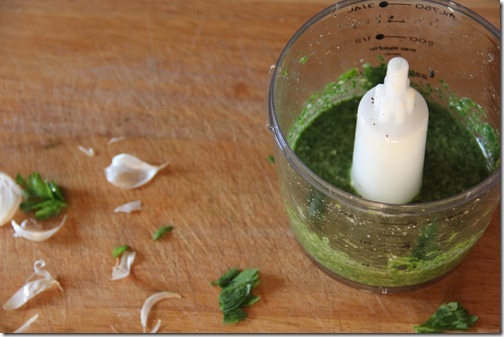 Place all chimichurri ingredients into a food processor and mix until smooth. Season scallops with olive oil, salt and pepper. In a medium saucepan brought up to medium-high heat, add olive oil and turn pan so the oil is covering the entire surface. Add the scallops, seasoned side down. 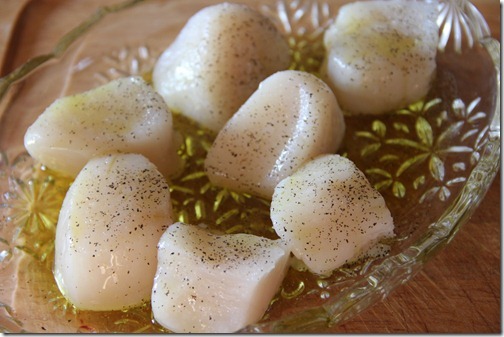 Season the open-faced side with salt and pepper and let cook for 2-3 minutes, or until the bottom has browned. 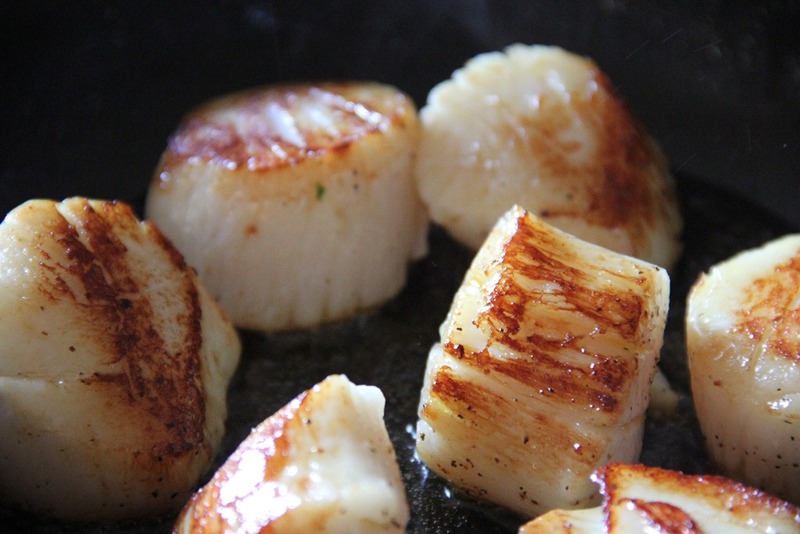 Turn each scallop and let cook for another 1-2 minutes. 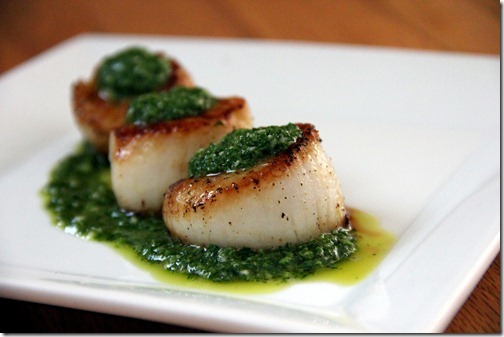 This entry was tagged chimichurri, fish, garlic, olive oil, oregano, parsley, scallops. Bookmark the permalink.